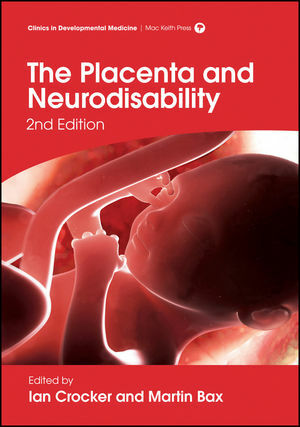 Written by leading obstetricians, neonatologists, paediatricians and pathologists. Dr Ian Crocker is a senior scientist within the Maternal and Fetal Health Research Centre in Manchester, UK. He is an NIHR Fellow, with a 10-year research focus on the human placenta. He is a member of the Maternal Medicine Clinical Studies Group, part of the Comprehensive Clinical Research Network, treasurer of the Blair Bell Society, the research arm of the Royal College of Obstetricians and Gynaecologists, editorial board member of the journal Placenta, and 2006 recipient of the prestigious Gabor Than Award from the International Federation of Placental Associations, for his outstanding contributions to placental research. Dr Martin Bax worked in community paediatrics for 40 years. He is Emeritus Reader in Child Health at Imperial College London and Honorary Consultant Paediatrician at the Chelsea and Westminster Hospital campus. Dr Bax was for many years the senior editor of Developmental Medicine and Child Neurology. He co-edited the third edition of Aicardi's Diseases of the Nervous System in Childhood. Until recently he was the Scientific Director of the Castang Foundation, a charity dedicated to investigating the causes and prevention of childhood neurodisability. He is president of the Society for the Study of Behavioural Phenotypes.